Niger’s security is affected by Islamist terror groups in the region, (such as al Qaeda in the Islamic Maghreb [AQIM]), unstable neighbours (such as Boko Haram militants in Nigeria) and the fallout from the overthrow of Muammar Gaddafi in 2011. The country has become a smuggling route for weapons from Libya reaching al Qaeda militants in the Sahara, with thousands of gunmen and tonnes of weapons and ammunition flowing south, mainly to Mali. In addition, Nigerien forces have been involved in a low-level conflict with Tuareg rebels in the north of the country since 2007. As a result, much of the military’s focus goes towards combating these threats – the military has been fighting Tuareg and Tobou insurgents in the north and eastern deserts since the early 1980s. As a result of this conflict, Niger’s armed forces have been accused of human rights violations but the military has recently instituted a reform process which is attempting to professionalise the service. Foreign countries provide a large amount of military assistance to Niger, notably China, Algeria, Morocco and France. The latter provides the most military assistance to the country. The United States in particular has assisted Niger in the fight against terrorism, running training programmes under its counter-terrorism programme in the Sahel and has deployed about 100 military personnel and drones in Niger as part of the operation to dislodge Islamic militants from neighbouring Mali. In July 2013 the Nigerien military received two new Cessna aircraft and ten Toyota trucks from the US, which will be used mainly for border security and moving cargo. Niger is among the West African countries which contributed troops to the regional AFISMA force battling Islamists in Mali alongside a 4 000-strong French contingent as it attempts to maintain stability on its borders. Niger’s military has played a significant role in Nigerien politics, ruling the country between 1960 and 1999 and staging three successful coups. In 2010 a military junta took power after overthrowing the former president, who had attempted to unconstitutionally extend his rule. A new president was inaugurated in 2011, bringing Niger back to constitutional rule. External •	Niger is currently facing no external military threat. Internal •	Islamist terrorist groups such as the AQIM continue to operate over the whole of the Maghreb region and have previously targeted foreign nationals within Niger. Regional •	Political and military insecurity in Northern Nigeria, Mali, and Chad may affect Niger’s foreign security policies. Political •	Niger is currently considered to be politically stable following polls in 2011 to restore civilian rule. 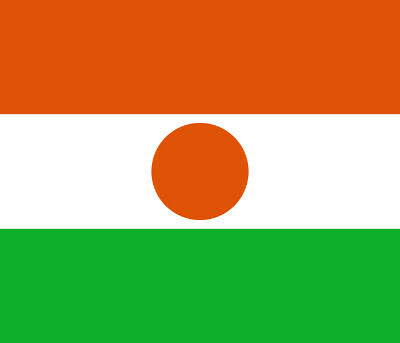 Economic •	Niger economy is largely based on internal markets, agriculture, and the export of raw materials such as Uranium and more recently oil. •	The country is rated by the UN to be one of poorest countries globally.